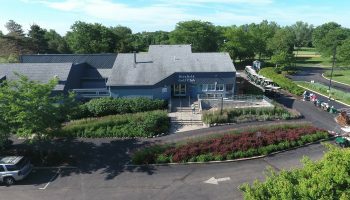 The Deerfield Golf Club and Learning Center boasts one of the finest 18 hole golf courses in the Chicagoland area. Designed by famed golf course designer Edward Lawrence Packard, the course measures nearly 6,900 yards from the championship tees; however, the newly-renovated course now offers five sets of tees that will challenge the expert yet afford the beginning golfer a very playable and pleasurable experience. Installed in 2013, in partnership with the PGA of America and the U.S. Kids Golf Association, the course now features two sets of family golf tees. 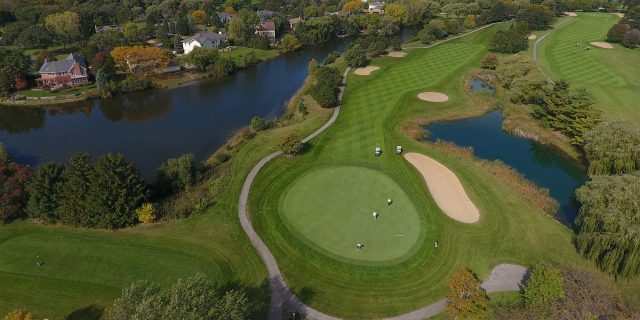 The Family Course Program allows play from appropriate yardage for different ages and abilities which builds confidence, promotes enjoyment and allows for the ability to maintain pace of play while on the golf course. Our pro shop is stocked with the latest equipment and clothing from the top manufacturers in the golf industry for both ladies and men. Our staff will help you select the product that is right for you, and our PGA staff members are available to help with custom fitting needs on equipment. 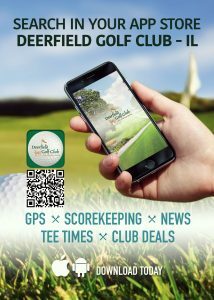 Please consider purchasing items from the Deerfield Golf Club & Learning Center for tournament prizes or tee gifts when planning your next outing.